The icons of alternative rock are often fleeting, but one band has stayed on top for longer than almost any other: The Killers. If I told you that their debut Hot Fuss landed in the UK 10 years ago today, I’m sure you would be surprised. It was an album chock-full of some of the finest pop rock and angsty ballads you’ll ever likely to hear and the record that launched The Killers into stardom and perpetual reference as THE band of the decade. Although I didn’t personally pick the record up when it appeared on shelves, the album and its’ songs have been rattling around my iPod and music collection for longer than I can remember. It’s without doubt one of my favourite albums of all time and one of the defining records of my generation. Hot Fuss on paper looks very much like a tale of two halves. The first five songs are all firm fan favourites and are still wheeled out at concerts as the centrepieces of the occasion. Although the second half is a little less memorable, the songs are still excellent and rediscovering them is always a pleasure. The way in which I built up to buying Hot Fuss is very typical for the way I go about albums. After hearing song after song from The Killers, I finally joined the dots and discovered they were from the same album and that therefore buying it and finding new, hidden gems would be the best thing to do. Everyone and their mother knows “Mr Brightside”. It’s a song that will never leave me or anyone of my age as the definition of pining over a love that’s someone else’s now. The way it repeats its’ verse and chorus is a lyrical stroke of genius, drumming into people’s heads the feeling of going over that loss again and again in your mind. The first album track of Hot Fuss that I heard was, naturally, the opener “Jenny Was a Friend of Mine”. From the helicopter sound at the start and then the guitars that come galloping in over it, it’s a fantastic way to kick off an album. Brandon Flowers sings a grand story of a murder (seemingly apart of a trilogy with another two Killers’ songs) with Ronnie Vanucci drumming and Dave Keuning strumming in the sort of way that characterises The Killers’ so much. Also in the front half are the hits “Smile Like You Mean It” with a wailing guitar riff that’s ingrained in my mind as an uplifting tune if ever there was one. Then there’s “Somebody Told Me”, the height of The Killers’ poppy drive for teenage approval. It’s still a great song, if a little simple in lyrics and music too. Then there’s the unbeatable “All These Things That I’ve Done”. If you forget for a moment the slightly crass refrain that everyone loves, “I’ve got soul but I’m not a soldier”, it is an absolutely fantastic sing-along song about keeping going in tougher times, with a little help from your friends of course. All these songs are bona fide classics of the 00s, and it’s incredible they came from the same album. The second half is much more downplayed and slow-going. “Andy, You’re a Star”, “Believe Me Natalie” and “Everything Will Be Alright” are all on a more downbeat note and don’t inspire the same feeling and excitement as those in the first half. They’re okay songs, but not quite what you want from The Killers after hearing their first few efforts. “Change Your Mind” and “Glamorous Indie Rock ‘n Roll” are a bit better, but don’t hit the heights they want to. The album isn’t perfect. Brandon Flowers’ voice isn’t nearly as accomplished as it is now, with flatter notes and more of a monotonous tone that can perhaps be attributed to the band’s 80s Brit punk influences. Seeing as the album was recorded in far less grandiose studios than their last few, it’s also fair to say that the overall production is a little more stripped back in Hot Fuss. It kind of adds to its appeal in away though. Obviously they weren’t destined for stardom and the upper echelons of the music industry when they recorded the album, so they wouldn’t have the money to do more with it, but I think the albums’ imperfections add to the message of the songs. They’re about imperfect people wanting better for themselves mostly, and that’s true of the album and The Killers’ themselves in a sense. Hot Fuss captures the attitude of a group of people at a specific point in time, and that’s what it will always be remembered for. Everyone can relate to the messages it gets across, and when you couple that with some great guitar, catchy hooks and memorable lyrics it is simply irresistibly good. Some say its still The Killers’ best album, and I’d probably agree. They’ve moved on well as a band, with their music aging and maturing just like they have. But you get the sense that as good as their new songs and albums are; they’ll always be the kings of the pop rock ballad. 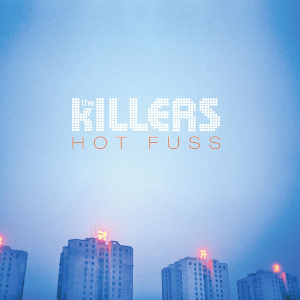 Hot Fuss is an album that will stand the test of time as being a killer record.